Bitcoin cash price jumped higher and broke a key resistance at $950 against the US Dollar. There was a break above a major bearish trend line with resistance at $960 on the hourly chart of the BCH/USD pair (data feed from Kraken). The pair may correct a few points in the short term, but downsides remain supported above $950. Bitcoin cash price is back in a bullish zone above $950 against the US Dollar. BCH/USD has to gather pace above $1,040 for more gains in the near term. There was a decent support formed around the $870 level in bitcoin cash price against the US Dollar. The price started a solid upside move and traded above the $900 resistance level. 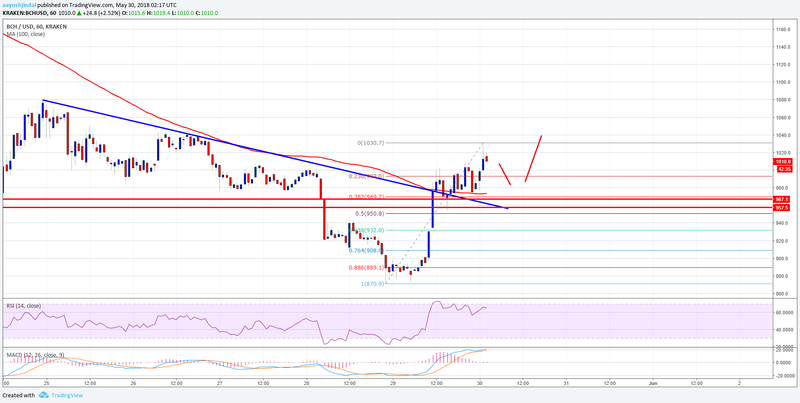 It opened the doors for more gains and the price broke the 50% Fib retracement level of the last decline from the $1,010 high to $870 low. During the upside move, the price also managed to clear a major barrier near $950. A break above the stated $950 resistance is a positive sign for buyers. More importantly, there was a break above a major bearish trend line with resistance at $960 on the hourly chart of the BCH/USD pair. The pair is now placed nicely above the $960 level and the 100 hourly simple moving average. The recent high was around $1,030 and the price is currently consolidating gains. On the downside, an initial support is near the 23.6% Fib retracement level of the last wave from the $970 low to $1,030 high. Looking at the chart, the previous resistance near $950 is likely to act as a strong support. Moreover, the 50% Fib retracement level of the last wave from the $970 low to $1,030 high is near $950 to provide support. 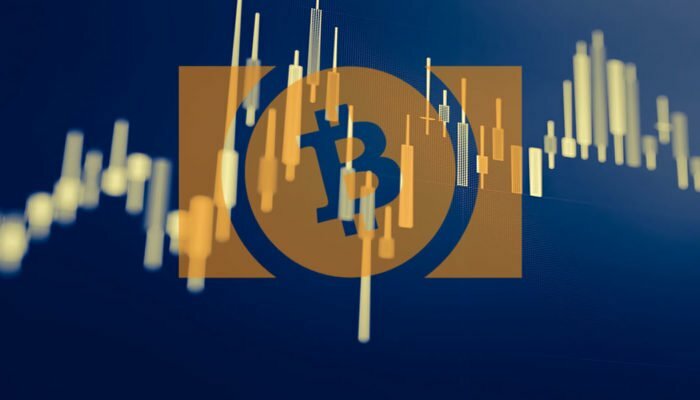 Hourly RSI (Relative Strength Index) – The RSI for BCH/USD is currently near the 65 level.